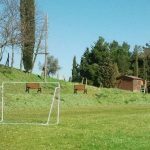 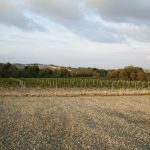 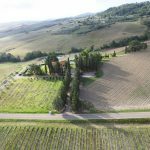 Podere San Francesco is located on the top of a vineyard hill surrounded by gentle green slopes in a pristine natural area. 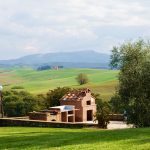 The building, which once was the houses where peasants who worked for the Gualandi family lived, has been completely renovated maintaing the typical architecture of the Tuscan farm. 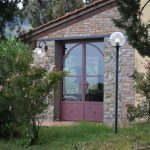 San Francesco has five apartments, all renovated and furnished with care and charm but also with attention to the comfort of guests. 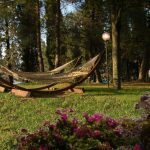 The outdoor spaces are also very well kept. 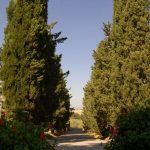 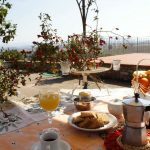 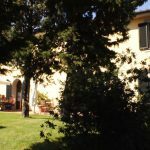 Available for a dream holiday, as well as a beautiful private pool (15×7 overlooking Volterra and the village of Orciatico), also a garden with plants and flowers for outdoor living. 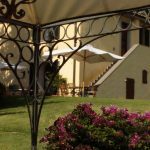 Each apartment has a terrace with beautiful tables with marble top and teak armchairs as well as a large parasol. 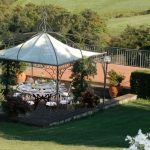 In the garden there is also a beautiful panoramic terrace with a large common table, barbecue, gazebo, wood-burning oven. 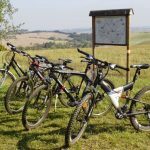 For your stay you will find excellent quality bicycles, table tennis, grass soccer field, hammocks, as well as a dépendance with television, kitchen and relax area with air conditioning; wi-fi is every where. 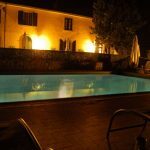 In addition to the 15×7 pool, there is a swimming pool with jacuzzi.